These majestically powerful instruments were traditionally used to announce the arrival of important guests, to clear the way for a high ranking official while moving through a crowd and to warn of approaching danger. Even in contemporary times in China, Chau gongs still play an important role in celebrating important events, such as weddings. Despite the Chau gong’s capability to produce a powerful sound with long resonance, they speak with a complex and balanced sound even at the softest of dynamic levels. 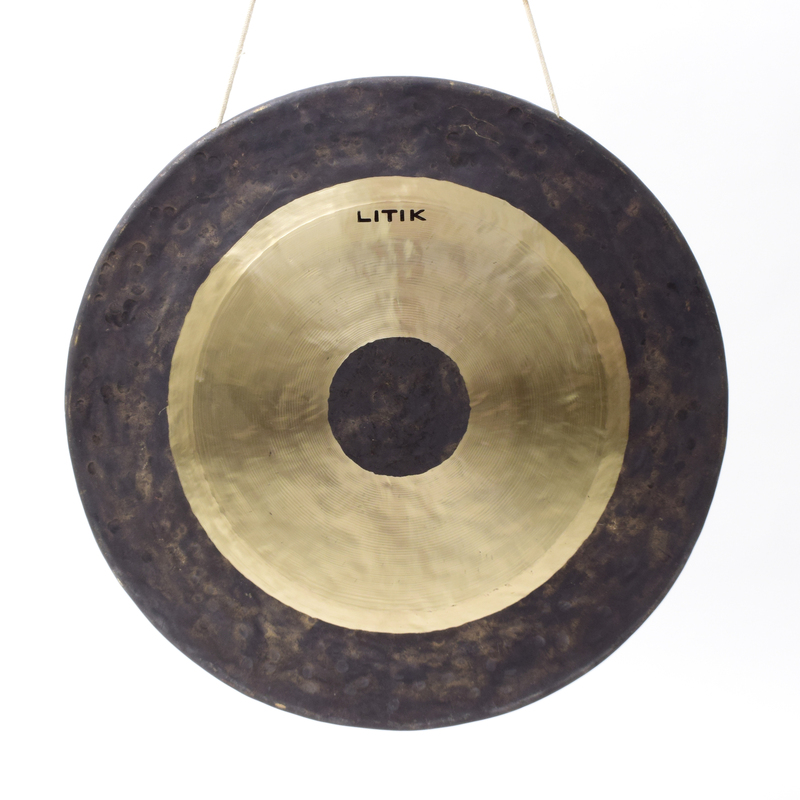 For this reason, Chau gongs are the leading choice for performing musicians be it in a band or orchestra. The structure of these gongs features both lathed and un-lathed areas. The lathed areas contribute to richer overtones while the unlatched areas result in greater mass/area ratio and help support the fundamental. The edge of a Chau gong is folded over so that a lip of anywhere from 1-5cm is produced, depending on the size of the gong. This creates a physical depth to the instrument that also results in greater support of the fundamental and increases the resonance.